And it is incredibly inexpensive to live comfortably here. I live with a host family in a lovely house. For room and board, I am paying 4000 Philippine pesos a month. (The current exchange rate is 43 pesos per dollar.) So, I am paying $93.02 per month (that’s no typo!). Other Peace Corps Volunteers are paying 4000p per month for a good apartment or a small house. The Peace Corps gives us about 8000p per month ($186.05) to live on, and most of us are living well, and, especially in the rural provinces. The weather in Quirino suits my bones. It rarely gets below 60°F or above 90°F. It is often cloudy in the mornings and we get regular afternoon showers. You won’t have to spend much on clothes. T-shirts, jeans, and sandals will cover most of your needs. You will rarely need anything more formal and that would be a polo shirt and shoes, maybe. It’s also amazingly green here. The seasons are subtle, monitored mostly by what foods are in season. Good food is readily available and inexpensive. As an agricultural province, there are vegetables and fruit growing all year round. I eat fresh vegetables and fruit every day. I eat a lot of local chicken (150p/kg = $1.59/lb) and fresh tilapia (100p/kg = $1.06/lb). Rice (you will eat a lot of rice) is 35p/kg (.37/lb). A kilo of sweet bananas is 50p ($1.16), a kilo of ripe mangoes is 35p (.81), and a fresh-picked, ripe pineapple, in season, is 12p (.28). This is a lovely place for a quiet writer like me. In the last year, I’ve met many good people everywhere, at school, at church, at parties, in my community. I know more people than I did a year ago and more people know, and like, me. I love this place, but it may not be very exciting for you. If you want to live in a more exciting place, six hours from here, there is the gorgeous Benguet Province in northwestern Luzon and, in particular, Baguio City. The foggy, hilly, “City of Pines,” the “San Francisco of the Philippines,” the most American of Philippine cities, Baguio City was built by the Americans for the Americans during their years as the colonial rulers of the Philippines. It is known as “The Gateway to the Cordilleras” and “The Summer Capital of the Philippines” because it is high up in the mountains, cool in the summer, and “cool” all year ‘round. Baguio is about 10°F cooler than where I live. It is usually in the 70s during the day, in the 50’s at night, and can get as low as 40°F in the winter. You will need long pants, a sweater, or a light jacket. Stocking caps with “Baguio” sewn in are available everywhere. Everything you could want in a small city, population about 300,000, you can find in Baguio. However, the cost of living is higher in Baguio than where I live. For a good, secure apartment or a small house, you can expect to pay between 8000p – 15000p ($186.05 - $348.84) per month, depending on where and how you want to live. Food prices are low. Benguet Province is the “Salad Bowl of the Philippines” and good food costs surprisingly little here. Eating out at the many fine restaurants, of course, will cost more; but cooking in and enjoying the local produce is very economical. On my latest visit, I bought organic lettuce, cabbage, and broccoli at 25p per kilo (.26/lb). Beer is 30p (.70) a bottle; a 250ml (about 1 pint) bottle of rum is a bargain at 28p (.65). On that recent trip to Baguio, I met an American, who had moved to Baguio from Hollywood, California. She told me she was getting a Social Security check of $2000 per month, which is 86,000p per month, and “cannot possibly spend it all.” (Remember, I am living comfortably on 8000p per month.) Don’t forget that your Social Security check, pension, or 401K Distribution can be cashed anywhere in the world! Now, for suggestion #2: Get away from the American materialist trap. (The bank can’t take your life . . . or foreclose your soul.) What’s valuable in the Philippines are family, friends, community, and the simple joy of being alive. It’s about your heart, not about things and not about money. I didn’t join the Peace Corps to save money (that’s a surprise). 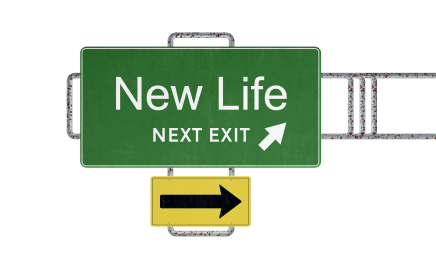 I volunteered to change my life (and, I hope, one or two other people’s lives as well). I’ve learned here that life can be simple: food, clothing, shelter, friends . . ., and a calling, something meaningful to do, a reason to live. You’ll learn that there’s no better way to help yourself than by helping others. There’s a whole world out here calling for you.